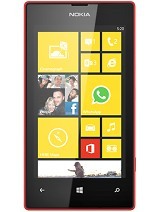 I will also buy one Nokia XL !!!!!. It is very awesome. AnonD-259006, 29 Apr 2014can nokia xl play HD videos like (HD, 1280 x 720) and (HD, 1080 x 1920) on its official vide... morenokia xl what hd display size..??? AnonD-103438, 30 Apr 2014it will launch in India tommorow(May 1st)Can u tell me when it will release in Pakistan? Definetely i am going to buy one. 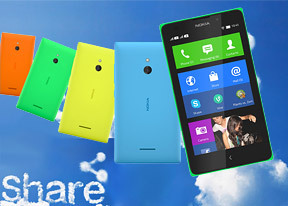 AnonD-103438, 30 Apr 2014it will launch in India tommorow(May 1st)Thanks for correct and prompt information. Keep going on. 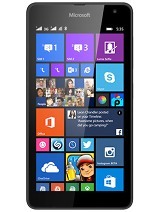 sankit, 29 Apr 2014what's better...which one shall i buy...nokia XL or Xperia M...Dont buy nokia x. Go for the Xperia M. Its a lot more better. Trust me,i have a xperia M. Its awesome. M has more Ram,better camera with flash and a much better GPU. 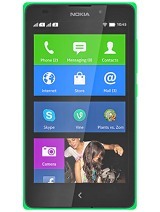 @joejonas, 29 Apr 2014Is Nokia XL already available in the Philippines? :( I really want to buy this instead of the ... morei love it & i want to buy it. How much is it? *grand duos has 5.1 " display while xl has 5" display. *xl has 2 mp front camera while grand duos has only vga. 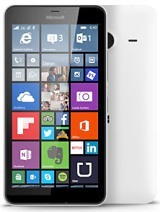 *grand dous has quad core cortex a7 processor while xl has dual core cortex s5 processor. *xl has 768 mb of ram while duos has 1gb of ram. *xl has 1 of the best top snapdragon chipset, while duos has BCM23550. *Xl has only 4 gb rom (internal memory) & upto 32 gb supported, wheare as duos is available in 4gb and 8gb rom versions & 64 gb supported. *the price of xl is lower than samsung galaxy grand duos. So still...the final decision is yours. But in my opinion...grand duos is better than xl because it is pure android and u will get lot of google services in it but it is more expensive. I hope my review will helpful to you.